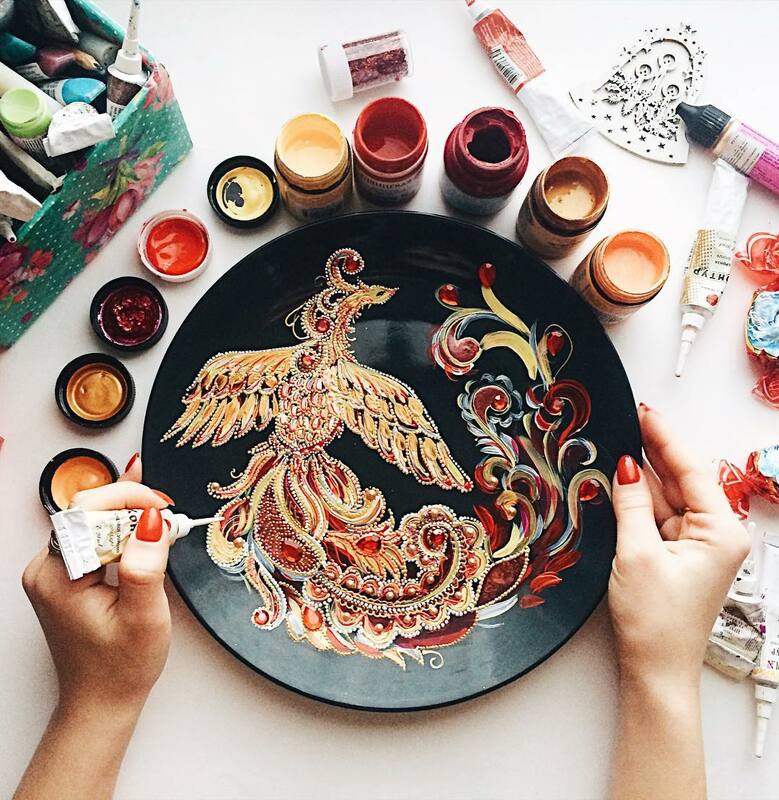 Russian artist Daria—known as dahhhanart—shows off her elaborately decorated plates via her Instagram. 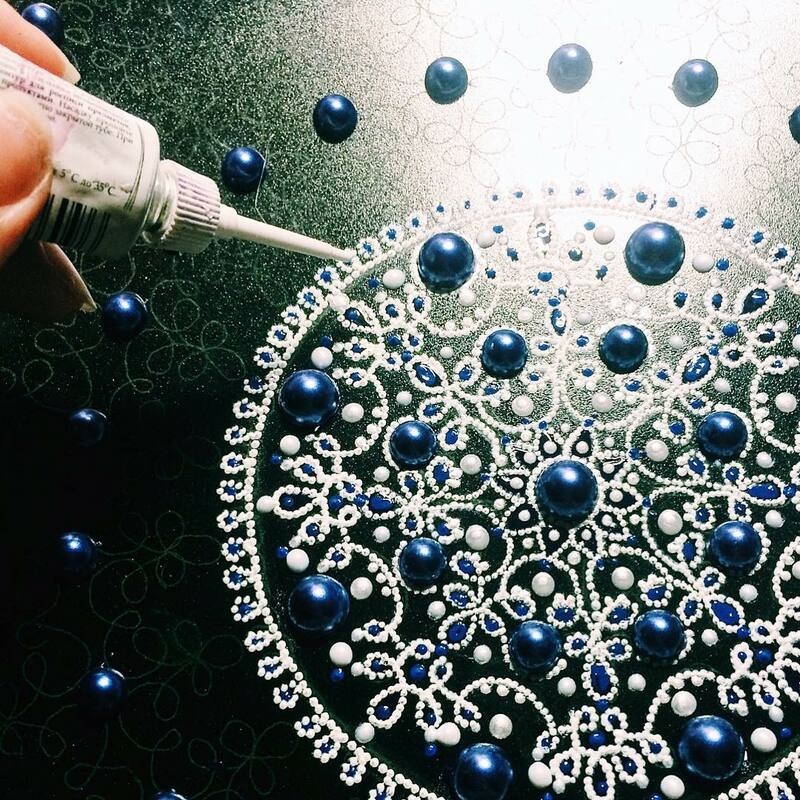 At once delicate and complex, she employs a dot painting technique that combines acrylics, enamel, and appliquéd gems. 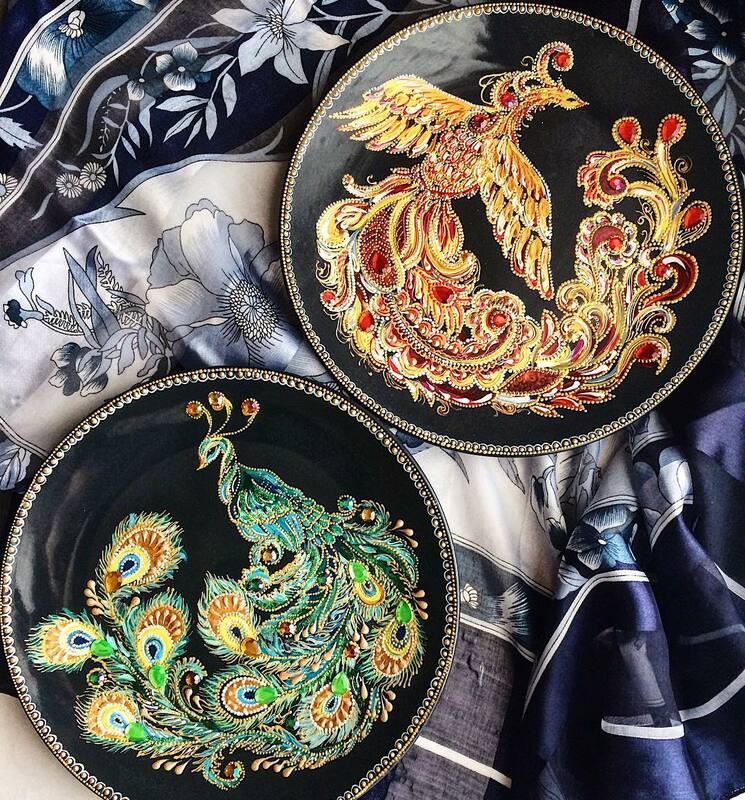 The results are stunning, each plate replete with detail. 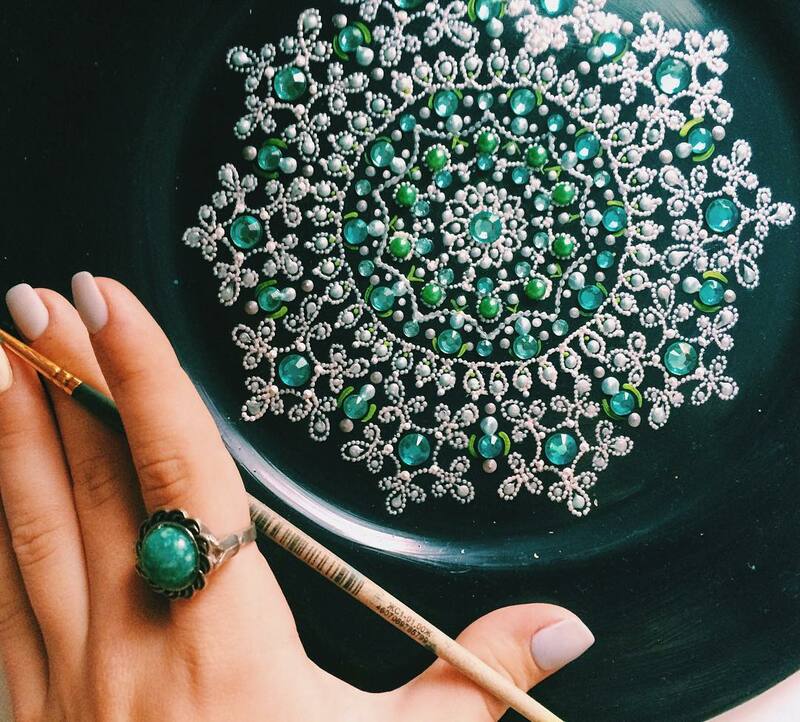 This form of pointillism, also known as point to point painting, requires patience and a steady hand. Daria’s feed provides plenty of work in progress images. 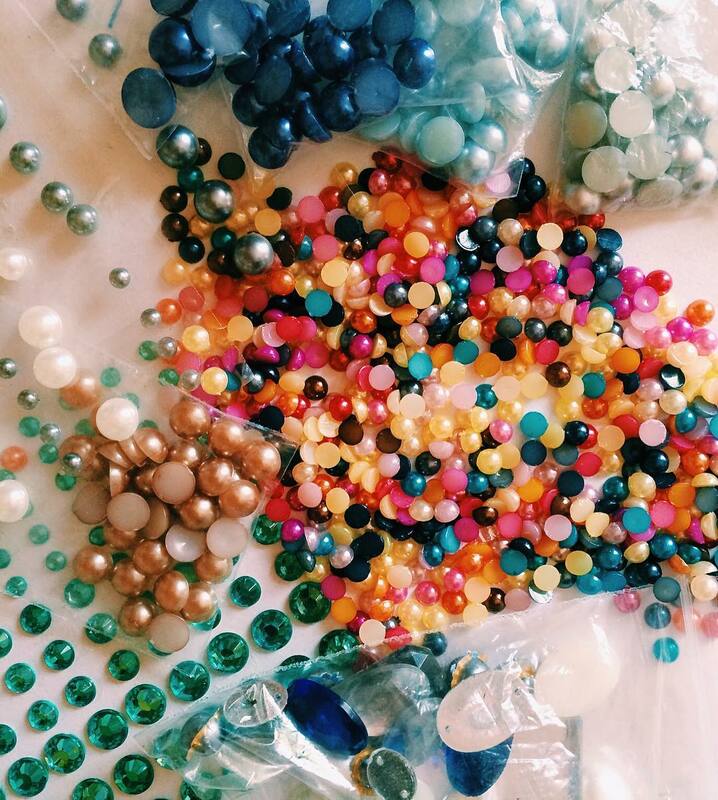 This allows us to appreciate how each delicately placed gem and pearl contributes to the final effect. 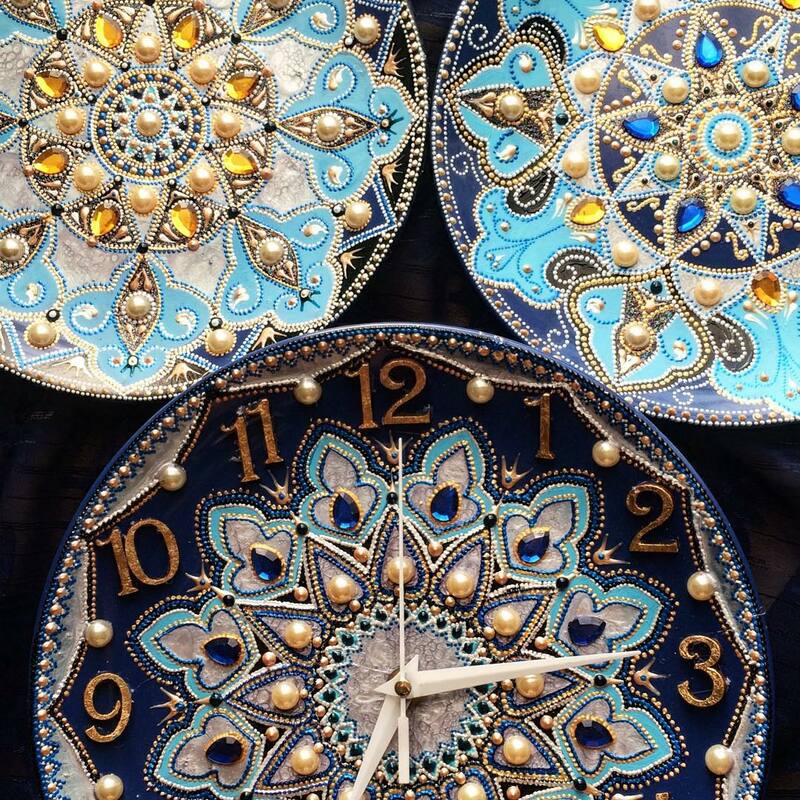 The buildup of paint and stones gives the final work a sculptural effect that moves and shines. 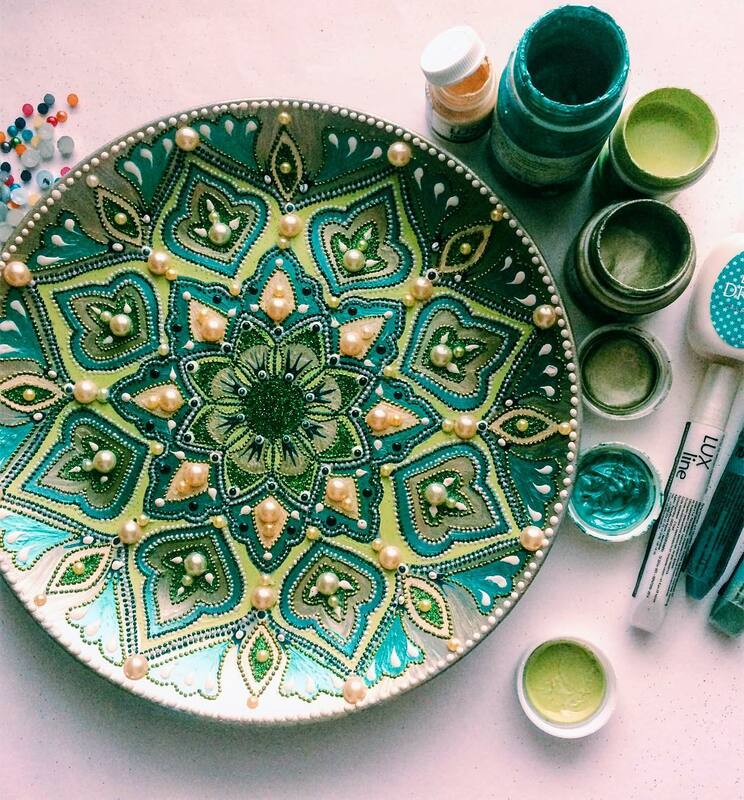 Her subject matter is mainly decorative, almost mandala-like in their designs, with the occasional animal thrown in for effect. 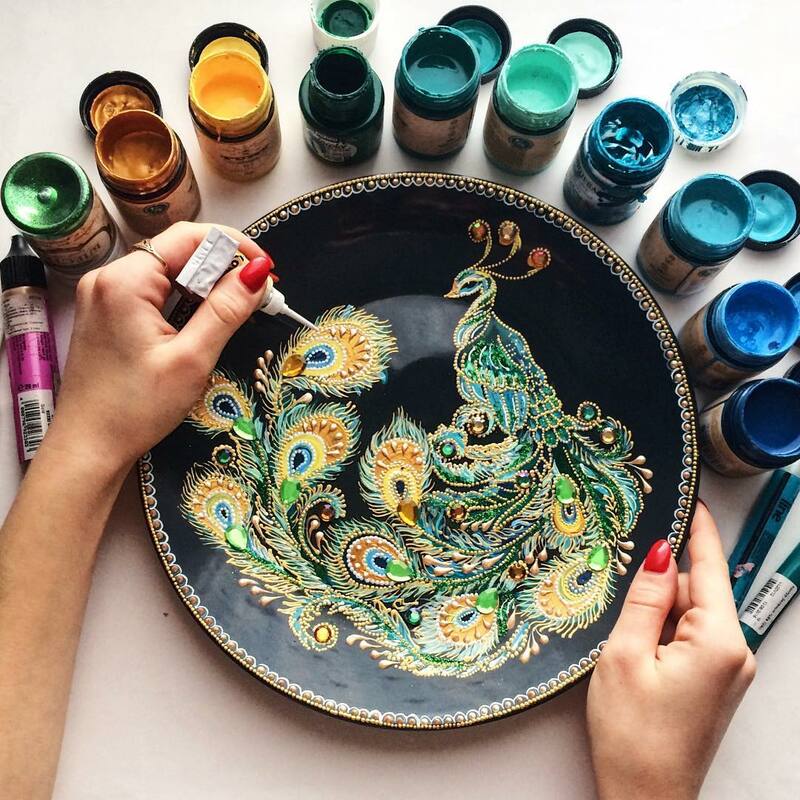 Given her Russian heritage, it’s impossible not to make comparisons with khokhloma, a traditional Russian folk art where wooden plates are hand painted with elaborate designs. 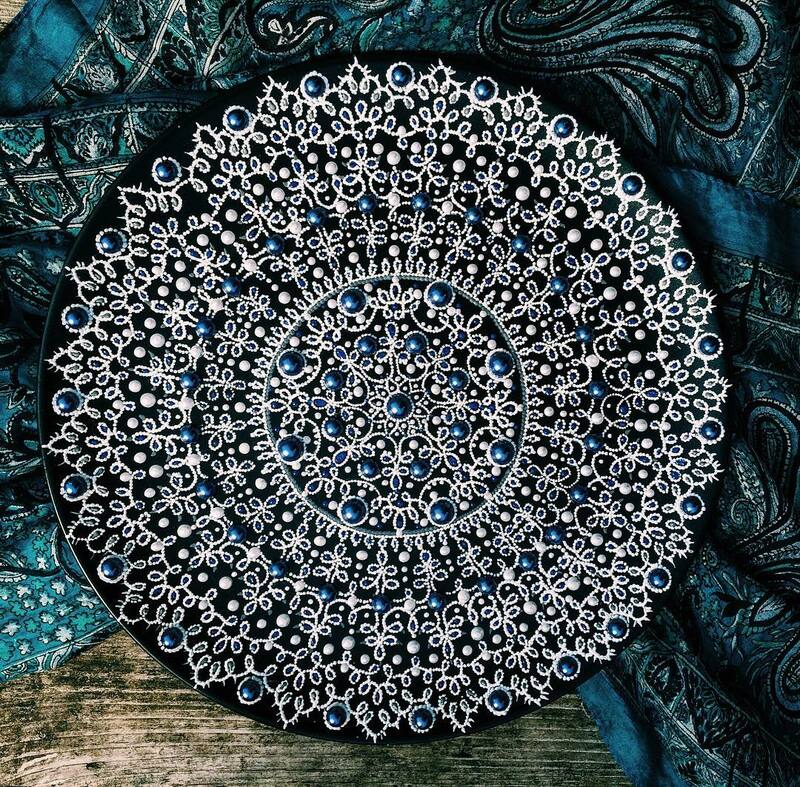 A close up view of the dot painting reveals the immense detail that goes into each work. 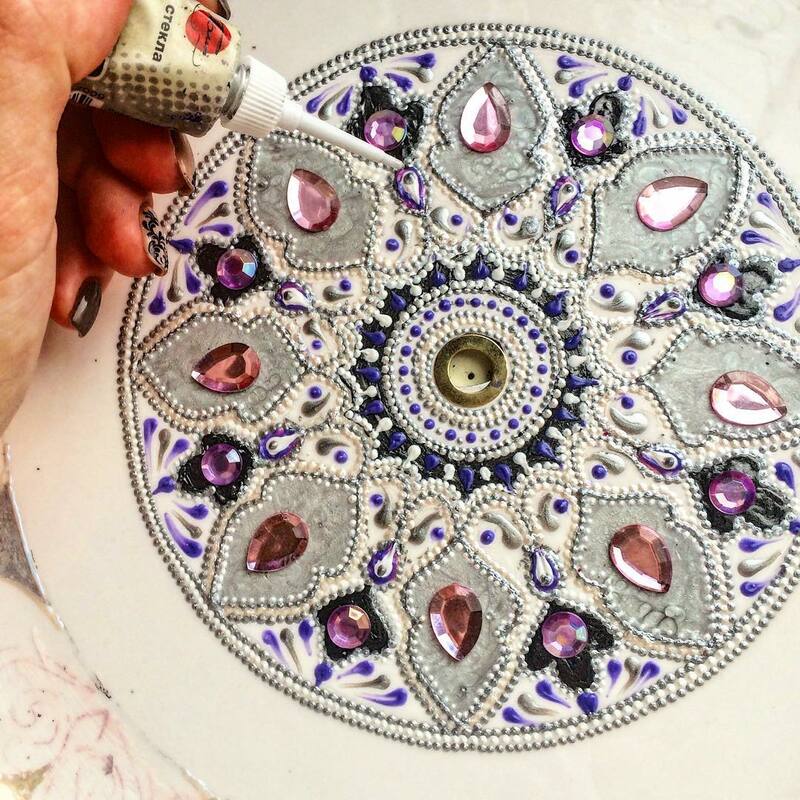 Carefully applied appliqués give the point to point painting a three-dimensional aspect. This close up reveals the traced design prior to the finished result. All photos via the artist. This exquisite technique needs to be seen!